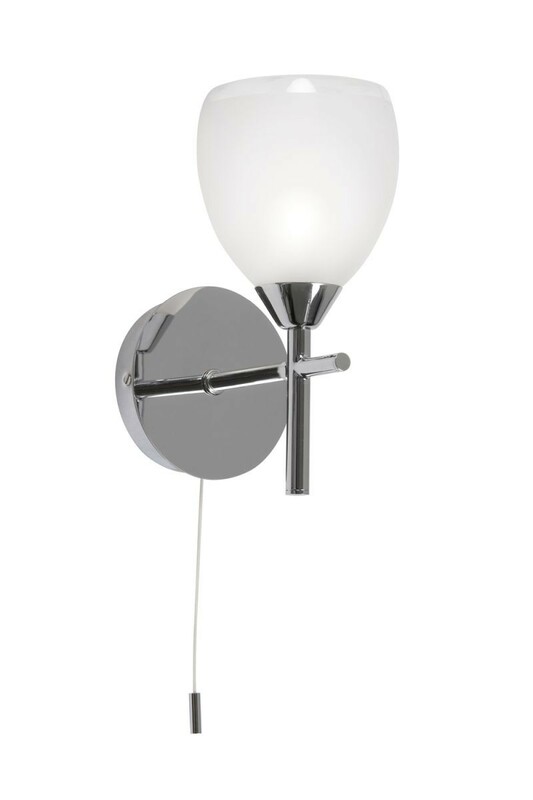 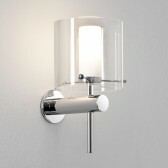 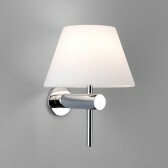 The Etta wall light from Oaks, shows a modern design finished in a shiny polished chrome. 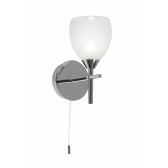 Featuring a circular wall mount with a pull cord switch, and a straight arm with an upwards facing white glass shade. 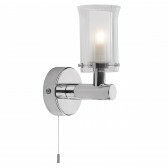 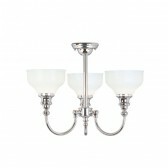 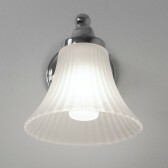 This wall light is suitable for zone 1 in the bathroom as it is included with an IP44 rating. 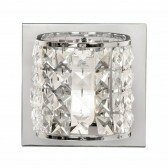 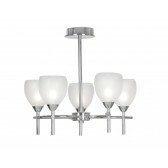 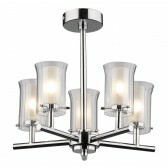 Light up your bathroom interior, with this beautiful design matching 5 light ceiling light is also available.